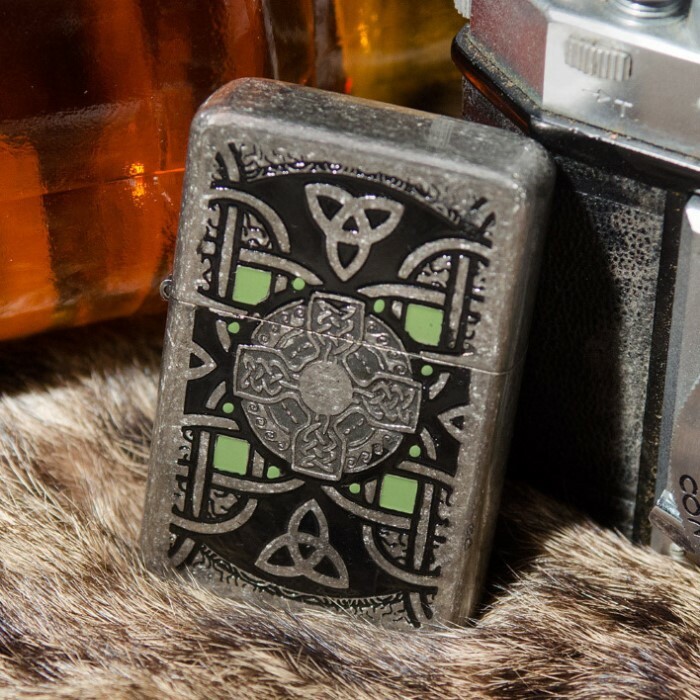 Celtic Get The Edge Lighter | BUDK.com - Knives & Swords At The Lowest Prices! 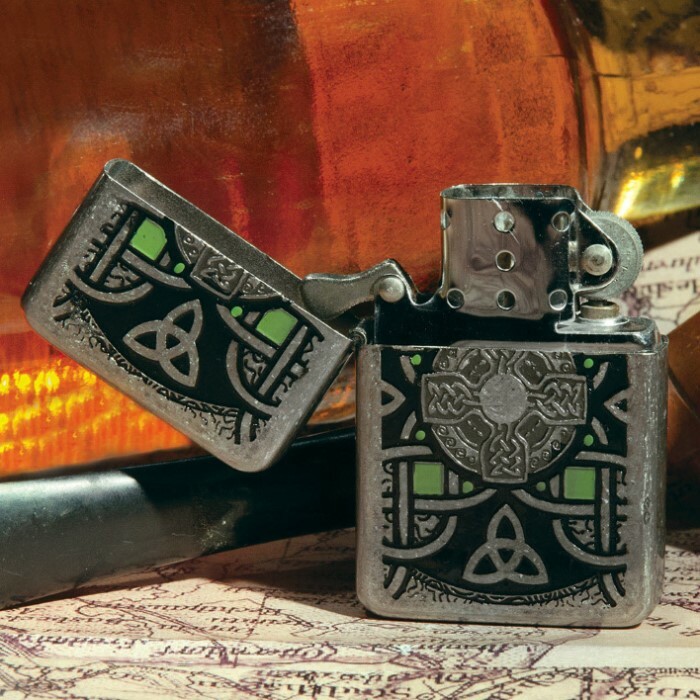 This windproof Get The Edge Celtic lighter gives you the quality craftsmanship you&apos;ve come to enjoy at a bottom-line price. Works just like a zippo for half the price. (could probably fit zippo inside this ones shell) The design is nice looking, open it up, add some lighter fluid and you're done. 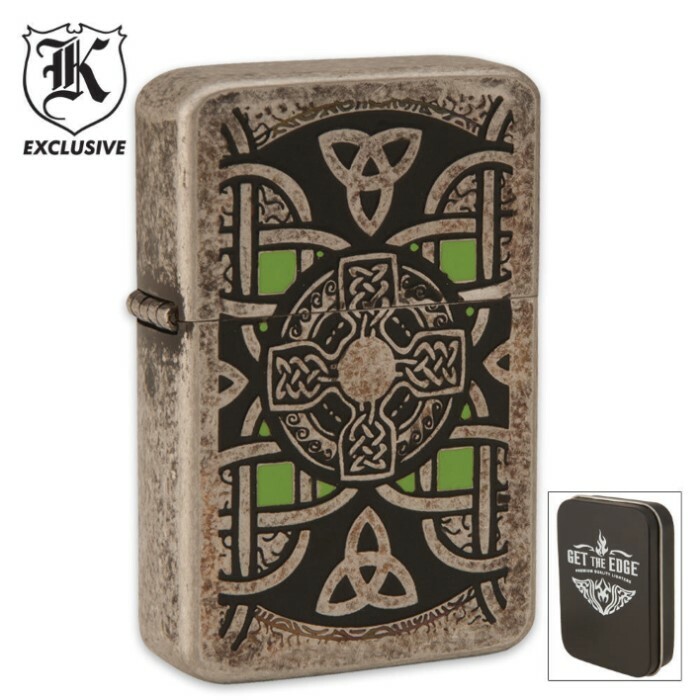 I got this Celtic Lighter during a SOTD and still cant believe that Budk sells this at such a low price. For under $9 you cant beat this Great product. i love it! i was expecting crappy detail on the art but it looks really Great!! Elegant stylish and functional. How can Budk afford to sell something so good for so little? I don't know. But keep up the great offers and products. Not only would I recommend this one to a friend. I bought one for my brother in law! Not a zippo, but works just as well. Goes well with the spring-assist celtic dagger and matching pocketwatch. its in beautiful condition and works perfectly. The lighter does only come with 1 small flint, so id make sure you have more if you use it alot.